310 Restaurants will soon welcome 310 Nona to their group of successful Central Florida restaurant locations. The 310 Nona location will be opening in late Summer 2015 in the Lake Nona area. Orlando, FL, June 10, 2015	(Newswire.com) - 310 Restaurant Group is proud to announce the upcoming opening of their latest restaurant location in Lake Nona. 310 Restaurant Group owns four restaurants in the Orlando area. Slated to open in late Summer 2015, the 310 Nona location will carry on the tradition of excellent fresh food and quality service first established at 310 Park South over fifteen years ago. This location will be the fourth expansion for the 310 Restaurant Group, having previously expanded in Winter Park with Blu on the Avenue and in the Downtown Orlando area with the opening of 310 Lakeside in 2008. When asked why she chose the Lake Nona area, owner Joanne McMahon said, "I have been watching Lake Nona for the past eight years, waiting for the right time to launch another 310 Restaurant. The time is right and [I] am very excited to be a part of this dynamic, energized community." 310 Nona will serve a full lunch, dinner, and late night menu of “New American” cuisine seven days a week, as well as a special Saturday and Sunday brunch menu. This location will also boast an extensive wine list and full bar. As with 310 Restaurant Group’s other locations, 310 Nona will offer a wide array of private event hosting, including wedding receptions, rehearsal dinners, corporate luncheons, holiday parties, and more. The 310 Restaurant Group was established in 1999 with the opening of their downtown Winter Park, Florida location. Known for their award-winning “New American” cuisine and professional service, 310 has been a landmark in the Orlando area for over a decade. Their second location, 310 Lakeside, opened in downtown Orlando in 2008. The 310 Restaurant Group also owns Blu on the Avenue, a sister restaurant to their 310 locations. 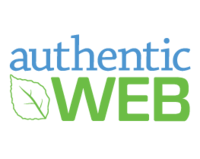 authenticWEB is a web design and inbound marketing agency based in Orlando, Florida. We offer SEO, video production, customized website design, and inbound marketing to clients all over nation. Mark Horwitz was selected by his peers for inclusion in The Best Lawyers in America© 2018.